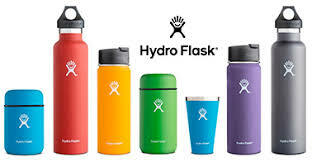 Hydroflask is one of the cleanest drinking containers you can own. Made with surgical steel, this beauty ensures toxins will not be leaking into your system. Women need to be aware that they are at higher risk for periodontal disease and gum disease especially if they suffer from fibromyalgia. There may not be enough conclusive evidence into understanding why, but there is a correlation between various hormone levels in the body and inflammation in the gums surrounding the teeth. You may be surprised to find less occurrences if you switch to a good electric toothbrush, too, especially if it houses a sanitation UV light. 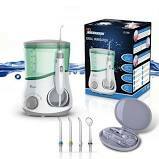 An electric toothbrush’s rotating head features bristles which can reach further thanks to the combination of motion and equal pressure from the brush itself. Most electronic toothbrushes are set for equal time for each quadrant which ensures a better, longer brushing and a great, clean feeling. Most importantly, an electric toothbrush is an excellent tool in the fight against gingivitis and gum disease in your mouth. 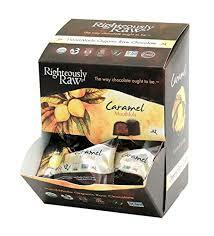 ​When people think about Righteously Raw, we want them to picture and taste the highest quality ingredients, with the highest quality production and packaging, at the most affordable price we can offer it. We are constantly scouring the globe to find new and exciting superfoods that we can introduce to our customers and help them live healthy lives with some chocolate indulgence. We are meticulous when sourcing our chocolate and ingredients and adhere to strict raw temperature standards. We temper our chocolate under 118 degrees to preserve as many vital nutrients as possible, and all our ingredients that we source are not processed or heated beyond this standard either. Raw cacao powder contains more than 300 different chemical compounds and nearly four times the antioxidant power of your average dark chocolate - more than 20 times than that of blueberries. Protein, calcium, carotene, thiamin, riboflavin, magnesium, sulfur, flavonoids, antioxidants, and essential fatty acids are also present. The precise blend of all these elements combined serve to kick in naturally occurring phytochemicals that have incredible benefits throughout the body, such as lowered LDL cholesterol, improved heart function, and reduced cancer risk. This is plan is suggested for the initial phase of the illness. If you are plagued with excruciating, relentless pain that takes away from your quality of life, then this is the plan for you . This is an allergy-free plan that enables your body to begin to heal itself by boosting your immune system. It offers little diversity in eating patterns, and is implemented as a natural healing method that your body needs at this critical time. The food is hearty and satisfying, offering subtle deviations depending on acquired tastes. It is regimented and should be applied exactly as stated. I've had wonderful reviews on this plan and many clients begin finding relief in as little as a few days. The plan comes outlined on four pages and speaks of The Importance of Maintaining a Strict Schedule in assuring pain relief. It revolves on strategies implemented every 15 min. to an hour and is usually followed on a reduced work schedule or unemployment. This plan is customized to include your morning awakening hour. This plan is suggested for those individuals who are mobile. If you are out and about, or returning to the work force and plan to be there for sometime, then you need a Symptom Maintenance plan to reduce flare ups. This plan is also allergy-free and will enable your body to continue to heal itself by boosting your natural immune system. Taking many of the tools from Phase 1, it implements break time and snack time into your daily routine allowing specific times for other practices that will work nicely around your daily schedule. It, too, offers little diversity in eating patterns, but makes lunches and snacks portable as you go about your day. Food choices include more dairy/beans, and bulk cooking choices to lighten the work load throughout your week. Ingredients: Natural lavender fragrance face cream, vitamin E, A, CoQ 10, evening primrose oil, almond oil, apricot kernel oil, coconut oil, and jo-joba oil. 1. Apply a small amount to face, rub in. A little bit goes a very long way, no need to slather it on due to all the natural oils. 3. Use as a day cream or night cream preferably after you shower. 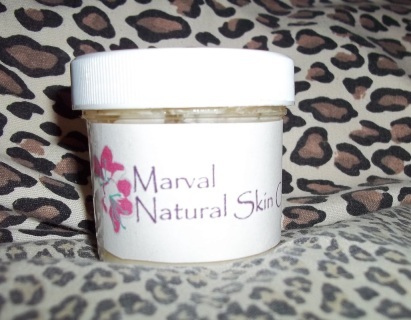 The benefits of using a natural face cream are numerous and extensive: you are nourishing and moisturizing your face but playing it safe by protecting your skin from harsh chemicals and ingredients that act as toxins on both your skin and the environment. natural beauty. In ancient times woman used oils to lubricate their skin and keep wrinkles away. This Too Shall Pass Mug will remind you of the simple pleasures of life. Today is just one day in a lifetime and that nothing lasts forever as tomorrow always brings a new day. Order one to sip your herbal calming teas when you need it most.